You will find Julianne to be a warm and caring health practitioner. She has an innate need to help others which is reflected in her treatments. She is sensitive to your concerns and will help you to understand Chinese medicine theory and her treatments. Her journey to become an Acupuncturist began with her own curiosity to find the reasons for, and solutions to her own health questions. The speaker in the video may have no association with ( Julianne Petersen R.Ac, Acupuncturist, Vancouver, BC ). 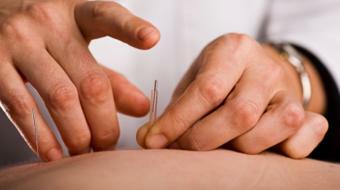 ( Julianne Petersen R.Ac, Acupuncturist ), may talk about some of the conditions and some of the treatment options shown in the videos on HealthChoicesFirst. Always talk with your health care practitioner about the information you learnt from the videos in regards to treatments and procedures the healthcare practitioner could perform and if they would be appropriate for you. Remember good information is the corner stone to understanding your condition or disease. Please contact ( Julianne Petersen R.Ac, Acupuncturist, Vancouver, BC ) to enquire if this health care provider is accepting new patients. , posted in: Facial Aesthetic Surgery: Facelift Procedure " Chantal a 55-year-old female "
See the whole conversation: Facial Aesthetic Surgery: Facelift Procedure " Chantal a 55-year-old female "
, posted in: A Rotator Cuff Injury from Snowboarding " Tom a 25-year-old right hand dominant snowboarder "
See the whole conversation: A Rotator Cuff Injury from Snowboarding " Tom a 25-year-old right hand dominant snowboarder "
, posted in: Rotator Cuff Injuries - Chronic and Acute " Rachel is a 33-year-old female who was up on a ladder "
The benefits of Cupping for the Rotator Cuff is similar in that it activates detox and drainage of waste from the muscle and promoting circulation to allow the stagnation to be carried through the blood and skin detoxing the muscle. See the whole conversation: Rotator Cuff Injuries - Chronic and Acute " Rachel is a 33-year-old female who was up on a ladder "
, posted in: Rheumatoid Arthritis Causing Wrist and Hand Pain " Mary a 52-year-old nurse "
Acupuncture is very helpful at any stage. It promotes circulation which allows nutrients to get to the joint and pushes through stagnation and inflammation. See the whole conversation: Rheumatoid Arthritis Causing Wrist and Hand Pain " Mary a 52-year-old nurse "
Have been impressed with Julianne Petersen Acupuncturist treatments at Vitality clinic in downtown Vancouver I think Julianne really knows her treatment methods and gets right to the point. I would recommend Julianne Petersen to anyone looking for a great Acupuncturist in downtown Vancouver. If you are looking for a good Acupuncturist in downtown Vancouver I would recommend Julianne Petersen for sure. Julianne is very well educated and really knows her stuff.